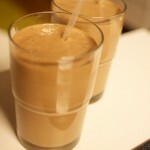 Chocolate Beet Berry Heart Healthy Smoothie great for Valentines Day! Chocolate covered berries are practically synonymous with romance. And what’s more reminiscent of childhood than chocolate sundae with a cherry on top? I’m someone who strives to enjoy the holidays without sacrificing my nutritional goals. 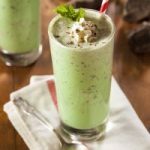 Whether it’s for a child’s birthday party or a holiday celebration, like Valentine’s Day, I find ways to make a delicious raw green smoothie that captures the festive taste of the holiday. 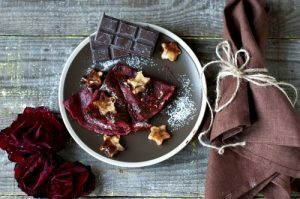 Therefore, this Chocolate Beet Berry Heart Healthy Smoothie is ideal for Valentine’s Day. 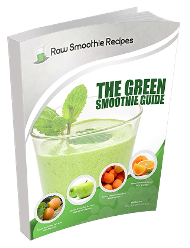 The raw green smoothie recipe couldn’t be easier. Raw cacao replaces the empty calories found in chocolate. As a substitute for sugar-laden strawberry sauce, beets provide an equally brilliant red color. Banana adds a smooth texture and a lot of sweetness (plus, potassium!) 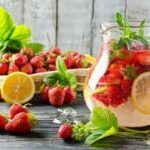 Add strawberry, raspberry or cherries to the recipe for a little more flavor. Sometimes I keep it simple and use only strawberries, but chocolate and cherry is a favorite of mine, too. 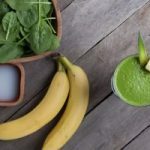 The secret ingredient in this raw green smoothie is cayenne pepper. In this raw green smoothie recipe, the cayenne pepper brings out the flavor of the raw cacao. Cayenne pepper is loaded with health boosting benefits. Got a migraine? Feeling bloated? A dash of cayenne pepper can relieve many symptoms of every days aches and pains that interfere with my quality of life. Instead of reaching for the medicine cabinet, I sprinkle a bit of cayenne pepper into my raw green smoothie. One big benefit of cayenne pepper is as a digestion aid. It helps with stomach cramps and diarrhea. 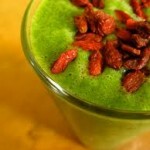 For that reason, cayenne pepper spike raw green smoothies are one of my favorite desserts. Clean and chop beet, leaving the skin on. Slice banana into bite-sized chunks. Mix a half cup of fresh or frozen berries and cherries. Put all ingredients in blender and pulse for thirty seconds. Blend until desired consistency; up to two minutes. Tip: Chopping and pre-freezing the banana, berries and cherries make your raw green smoothie a thicker consistency.